There are literally thousands of Chevrolet dealerships throughout the country. In virtually every single city, you will find a dealership with the distinct American-made cars that have defined the auto industry for decades. You will also discover the same level of customer service and product reliability that Chevy has built its reputation on. For people who have returned to their local Chevy dealership time and time again, the benefits are undeniable: with Chevy, you get a dealership that cares about your personal needs and expectations. At Carl Black, nothing is different in that regard. As a typical Chevy dealership, we serve the greater Orlando area with the same dedication to customer service and quality products as the manufacturer itself. We also like to make sure that all of our customers get even more than they expect from a typical Chevy dealership. That is why we go above and beyond in terms of our overall customer service, financial aid, maintenance department, and other dealership areas to make sure you get the best experience and service possible from us. 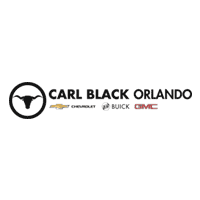 You will notice many difference between Carl Black and other dealerships anytime you come to us for help. The moment you step through our doors is when your time with us begins. At that point, we will not stop until we are sure we have everything you need or want covered without any major issues or barriers in your way. That is the Carl Black promise. 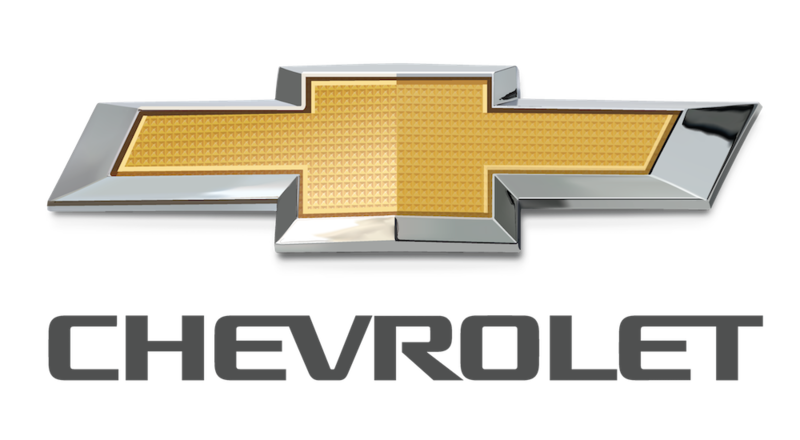 Our dealership provides the same typical Chevy services you will find on virtually any Chevy lot. Chief among them is a large, expansive range of vehicles that make up our existing new and used inventory. Best of all, we keep this inventory up-to-date and accessible online or in person so you can see what we have available at a moment’s notice. The best thing about shopping at Chevy is you can choose from a wide range of different models and vehicle types to fit your daily needs on the road. This starts with the expansive lineup of sedan and sports cars Chevy has to offer. If you want something larger for more people and cargo, the mid to full-size SUVs will be right up your alley. Finally, for those needing the most amount of cargo and hauling capacity, there’s no substitute for a true Chevy truck. Regardless of the type of model you choose, you can expect the same stellar quality, durability, and performance. Each of these models is designed to run for years before needing any kind of major repairs or upgrades. This is especially true for the interior convenience and safety systems that can be difficult to repair on your own. For example, if you need to replace or upgrade the infotainment system on your own, you are in for a major process with a lot of headaches. With Chevy, however, you can expect your car’s computer systems to run flawlessly for a long time. Another unique thing about a Chevy dealership is the fact that you don’t have to even buy a Chevy if you don’t want to. Our used inventory is one of the largest in the Orlando area. Along with plenty of certified pre-owned and used Chevy models, we take in many other brands for you to consider. With each and every used car, we give it the same inspection and repair process, so we know we are not selling you a potential lemon. With our extensive inspection process, you can rest assured you will be buying a vehicle that is in great condition for a much lower price tag. Beyond just giving you a great vehicle to drive off our lot, we know there’s more to great customer service. Specifically, we do everything we can to make sure your vehicle will continue running for a long period of time. This includes giving you great warranty coverage, stellar mechanical service, and any type of repair or upgrade work you would like in the future. All new Chevy models come with a 100,000 mile/5 year bumper-to-bumper warranty. This keeps most of the internal parts, including engine and drivetrain components, covered for a long period of time after you buy the vehicle. If you ever experience issues that comes as unexpected “surprises,” all you have to do is take your vehicle to our lot where our qualified mechanics will diagnose and solve the problem typically within the same day. We can even help with regular, routine maintenance such as replacing the oil, air, and fuel filters in the vehicle. It is helpful to know exactly how Chevy designs and constructs their vehicles, which is why our mechanics know all the ins and outs to each and every Chevy vehicle. With this brand-specific knowledge, they can ensure you receive the best maintenance work possible in an efficient manner. Our mechanics don’t needlessly speed through the work; they just know how to get the job done correctly quicker than the competition. Finally, there’s the matter of finding the money for your dream vehicle. Whether you buy new or used, it is always challenging to find enough funds to afford the range of prices you’re likely to encounter. That is where our stellar financing department comes in handy. With Carl Black, you can get access to all of our expert financial staff members who know everything about automotive loans, leasing, and incentive programs offered through Chevy. We can get you approved for credit assistance in a single setting or online. When it comes time to apply for auto loans, use Carl Black’s extensive network of financial providers to explore your different options. You only have to fill out a single application that we will then send out to all of our providers to get offers back within a short amount of time. This is a great way to shop around for different deals once you have a particular vehicle in mind so you can get the best rates and terms possible. If you find yourself in the Orlando area and in need of a new car, the one place you should check out is our dealership. Carl Black is here for you no matter what. Whether you want a new or used car, need additional maintenance services, or you just want to see what Chevy has in its lineup these days, we will help you out for all of your vehicular needs. We believe that your time with Carl Black is a journey. Sometimes, that journey can get rough and challenging if you do not have the right guide or help in your corner. This is entirely avoidable when you come to our dealership. We do not leave any of our customers needing additional help since we can cover all of your needs, questions, and preferences anytime you come to us for help. We are just a phone call or email away if you don’t want to visit our dealership in person. However you get in touch with us, today is the day to start that journey with us. We are here to help you find your next vehicle.